Fighting has ravaged South Sudan for the past three-and-a-half years. More than six million people – 45 percent of the population – are facing extreme hunger. As many as 7.5 million people now need humanitarian assistance. More than 1 million of these people are children who are acutely malnourished. On top of this, as many as 3.8 million people have fled their homes; with more than 2 million seeking safety in neighbouring countries like Uganda, where there are now 1 million South Sudanese refugees. Oxfam has been working in South Sudan for over 30 years. Since 2017, we have been responding to a deepening emergency, reaching over 500,000 people across South Sudan with life-saving aid. We also implement long-term development projects to advance gender justice and support people to build resilient livelihoods to help beat poverty now and into the future. 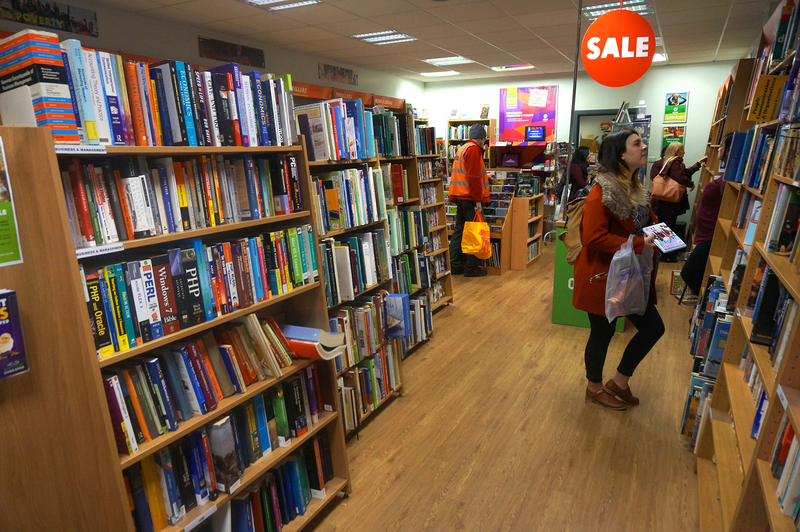 In this blog, Chief Executive of Oxfam Ireland, Jim Clarken, reflects on his recent trip there. South Sudan is a country in crisis – a country on the brink of what could well become the world’s worst humanitarian disaster. Yet tragically, for the people of this young nation, their ongoing plight has failed to make the headlines. For more than four years, the people of South Sudan have been caught up in a brutal civil war. The violence has had a devastating impact on the country’s citizens, millions of whom are suffering from extreme hunger as a result. More than 4 million people have fled their homes since war broke out in December 2013. And last year alone, some 700,000 people fled South Sudan to neighbouring countries – that means that in 2017, more than one person fled the country every minute. 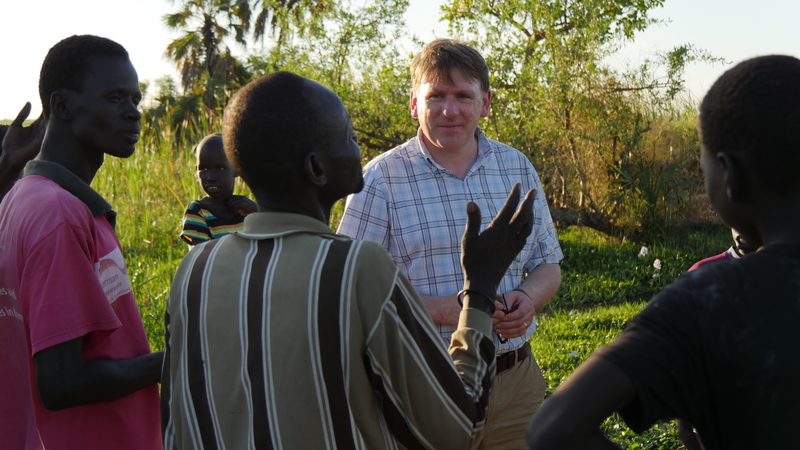 When I visited South Sudan earlier this month, I met many people whose lives have been turned upside down by the ongoing conflict. I spoke to women grieving for their dead children, families who have had to flee their homes and farmers forced to abandon their land – ordinary people, who, through no fault of their own, have found themselves caught up in the crisis. People can no longer protect themselves and their families from the destabilising impact of war. There are battles on every front. Inflation rates are so high that the price of even basic foodstuffs is beyond the reach of families. Meanwhile, farmers who have had no choice but to leave their land are missing out on harvests – leaving the country’s food stocks at dangerously low levels. In February of last year, famine was declared in two counties – Leer and Mayendit. At that time, 100,000 people were facing famine, and one million more were on the brink. A strong humanitarian response has undoubtedly kept famine at bay but the need for aid is more urgent than ever. In fact, an estimated 1.6 million more people are now more at risk than when famine was declared in 2017. And while the United Nations World Food Programme has been carrying out food drops in South Sudan, the supplies aren’t enough for the population which finds itself in a race against time. During my visit I travelled to the islands around Nyal in Unity State, which have seen a large influx of people fleeing the violence. There I met many people who have been displaced and are now in a dire situation. Many arrived with nothing but the clothes on their backs, joining countless others with shared experiences. It had taken one group of women I spoke to seven days to reach safety. Having endured the harrowing and terrifying journey, they finally got the chance to grieve the children they had lost along the way. With the support of Irish Aid, Oxfam Ireland is on the ground in Nyal, providing canoes to bring the sick and vulnerable from the islands to access life-saving aid and health care. We have also set up community gardens in the region, which enable people to grow their own food, or sell it to earn an income. And our protection teams are working with girls and women to ensure their safety in a new and unfamiliar environment. Yet, despite our best efforts, the humanitarian situation remains dire – and it’s getting worse by the day. With other stories dominating the global headlines, I fear that South Sudan will be forgotten. There is an onus on all of us to make sure the plight of this young nation is no longer ignored. 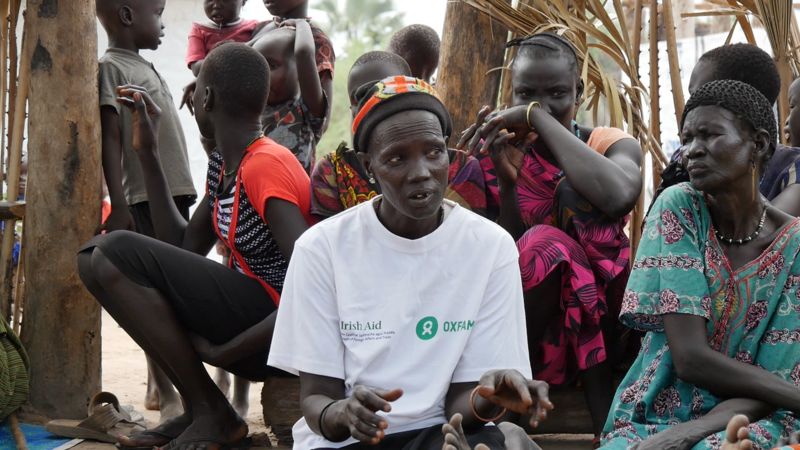 Blog post by Christina Corbett, Oxfam Press Officer, South Sudan. The 9th of July 2017 was Independence Day in South Sudan. A day that should have seen celebrations, festivities, smiles and laughter to mark six years of the world’s newest country. But not this year. Nor any year since the country’s conflict started in December 2013. It’s a time of sombre reflection. South Sudan has spent the most recent half of its short life in conflict. The fighting has caused hunger so catastrophic that in February, the world’s first famine in six years – South Sudan’s lifespan - was declared. I just got back from Padding, in northern Jonglei close to the Ethiopian border – a village in the ‘back of the back of beyond’, as one colleague told me. The village is so remote and inaccessible that food is dropped from planes and distributed by Oxfam staff on the ground to people in need. The last food drop was six months ago. This time the United Nations World Food Programme were delivering sorghum, beans, oil and fortified flour. I met people who had come from Padding and around – people who had fled from fighting. I saw that people don’t care that the country is six years old – they only care whether their children will see six years of life, or if their struggle to feed their families will see them slide into starvation. Padding routinely gets cut off from everywhere. It’s in the middle of a swamp that becomes wet and impassable during the rainy season. It takes a day to walk to Lankien, the nearest town and the nearest functioning market. But this market is under pressure. Sorghum – a staple, used to make “walwal”, a thick paste – has jumped in price from 700 South Sudanese Pounds (SSP) (€5/£4) in April 2017, to 13,000 SSP today. It is too much for people to afford even a handful. Before March 2017 – when the brutal conflict between government and opposition forces hit this part of the country – 9,000 people were living in Padding village. Life was not bad. 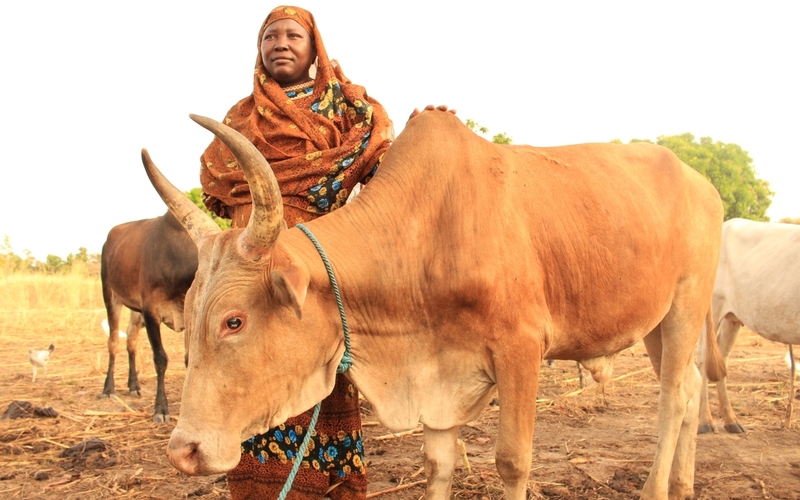 There were gardens that people cultivated, people had cattle. Now things are different. Nyarek desperately wants water and food. She wants soap to clean clothes, even bed sheets to lie on – she wants the things that she had before the conflict started. Six years of independence means nothing to her. The last few years have taken more than they’ve given. Until the South Sudanese have peace there will be nothing to celebrate. The governments of neighbouring countries and the wider international community must increase political pressure to stop this violent conflict. Oxfam will continue to work in the most difficult places – places where they have never seen such dire need. But aid alone won’t solve the problem. Nyarek told me about her village and about returning there. “I am not willing to go back,” she said. “People are no longer there. I don’t want to be alone.” The people of South Sudan must not be left alone. Nyarek and her countrymen and women need the same international solidarity shown when the country was ushered into being. And they need it now more than ever before. Following the power crisis that erupted in Juba in 2013, South Sudan has spiralled into a national, political and ethnic conflict, quickly spreading across many parts of the country and leading to the death of thousands of women, children and men. Since then, 3.8 million people have been forced to flee their homes due to the brutal war. 7.5 million people are now in need of humanitarian assistance. Over 45 per cent of the population – more than 5.5 million people – are severely hungry. Oxfam is racing to get food, water and hygiene items to the most vulnerable people, including thousands who have fled to remote islands in the middle of huge swamps. In 2016 we reached over 600,000 with emergency and longer-term support. We are also responding to the refugee crisis regionally in Uganda, Ethiopia, Democratic Republic of Congo and Chad. Millions of men, women and children are in need of urgent help in South Sudan, Somalia, Ethiopia, Kenya, Nigeria and Yemen. We urgently need your help to feed families and help save lives.